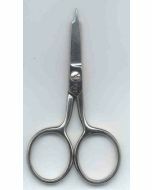 These scissors are perfect for those tiny little areas.....sharp right to the end point! 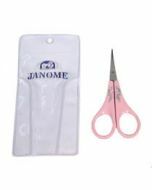 They are the best for applique and for embroidery work because you can cut that thread right up close to the design! 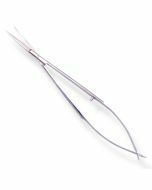 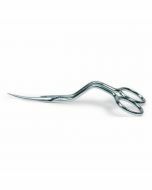 Very comfy feel and a bit of a curve so that the tip works easily in the tiniest of areas. 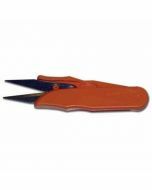 Color of scissor handle varies.